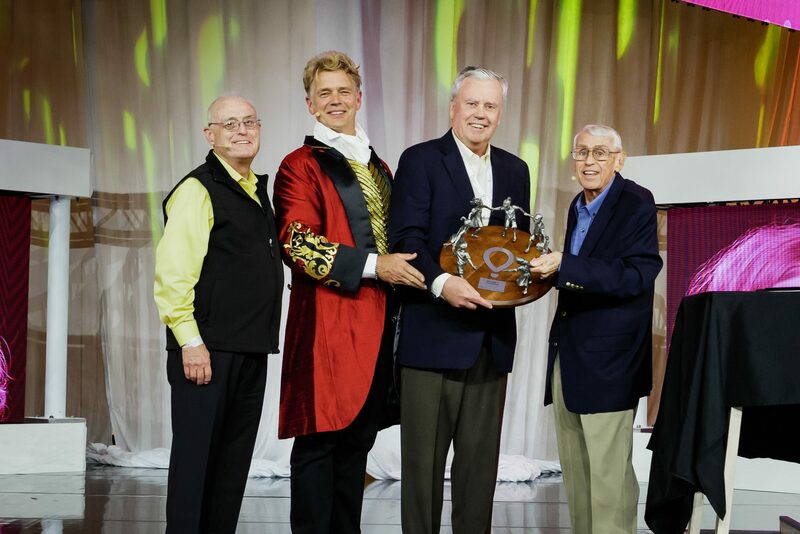 Children’s Miracle Network Hospitals awarded Akron Children’s Hospital Chief Executive Officer Emeritus Bill Considine the 2019 Children’s Miracle Network Hospitals Founder’s Award during #ChildrensHospitalsWeek in March. The Founder’s Award is the most prestigious award is presented each year to a recipient whose time, talents and contributions enable Children’s Miracle Network Hospitals to help as many kids as possible. It is named after CMN Hospitals Founders Marie Osmond, John Schneider, Mick Shannon and Joseph Lake. Today, CMN Hospitals helps 10 million sick and injured kids treated at 170 member hospitals across North America and has raised more than $6 billion. “Bill attended our very first meeting in Chicago,” said Mick Shannon. “As we started CMN Hospitals, there was a lot of skepticism about the concept and some initial reluctance to join. Bill quickly caught the vision of what we were trying to build and got behind us immediately. Considine says his involvement with CMN Hospitals is a labor of love and provides a way to further assist the patient families at Akron Children’s Hospital. Considine served as the CMN Hospitals Board of Trustees Chairman from 1996-1998 and was a CMN Board Member from 1990-2007.